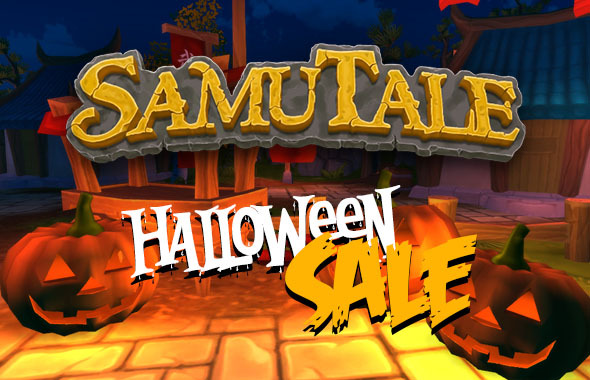 Even samurai get to celebrate Halloween, with SamuTale’s Halloween sale. From now until Nov. 6, you can get Founder’s Packs for Maple Media’s early access title and check out the latest changes to the game from a recent update. And what exactly are those changes? The biggie is a statistic overhaul that gives lower-level characters more of a chance against higher-level ones. There’s also a new durability system for items — and a blacksmith who can fix them, of course — and the snow area has been expanded, giving players more places to build in the chilly climate. You can read all about the sale and new update on the SamuTale site. The game looks really cool. But since I’m swearing off from buying from cash shops and ect since most of it is unnecessary for the gameplay sadly I won’t get it but since this is the founders pack I might get it.